Kirkland (Costco’s brand name) has been offering up some substantial values in quality single-malt scotch over the last few years. 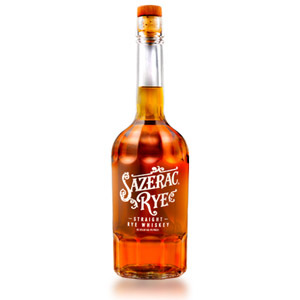 I decided that their track record warranted trying out the American whisky side of the aisle, so I plopped down my $20 for a liter of “Premium Small Batch” Kentucky Straight Bourbon at 7 years of age and an impressive 103 proof. It’s from batch B-5183, if it matters. The label indicates that it was made in Clermont, which leaves no doubt as to its distiller – the Beam Corporation’s Jim Beam Clermont Distillery. Hoping that this was a 7-year batch of the company’s Knob Creek product (which I’ve enjoyed in the past and will be reviewing soon), I cracked open the bottle to see what kind of bourbon one gets for $20 a liter at Costco. Right away I could tell. This was not Knob Creek. This was Jim Beam, and no question about it. Jim has a very specific flavor and aroma profile, which has no doubt been “crafted” over the decades to “perfection”, but which comes across to me as a vaguely vegetal, light-in-character nail polish remover. Eugh. I never liked the stuff in college, and it’s certainly not to my taste now. Nose: Light brown sugar, a bare hint of acetone (nail polish remover), which reminds me instantly of Jim Beam. Less oak and less caramel than comparable bourbons. No detectable cherry element. Some raw corn and light corn syrup candies (caramel corn). The alcohol is somewhat biting. Palate: A little syrupy, but with a rough tongue burn. 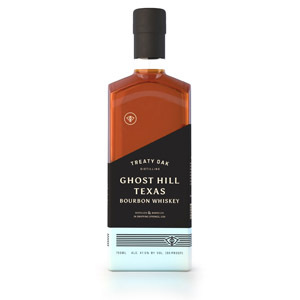 Some astringency but without the woody flavors that come with older bourbon. Now there’s a bit of cherry (lozenge) and some hay notes. Still light on the sugar (no molasses) and rough on the palate. Finish: Medium long. A little oak and more caramel corn. Forgettable. With Water: A few drops of water don’t do anything to elevate the aroma, perhaps instead accentuating the nail polish remover. If you’re drinking this neat, water isn’t going to make much difference, except perhaps by proofing it down to tame the burn. Overall: Unlike most Kirkland labelled booze, I’m severely underwhelmed by this one. It’s obviously Jim Beam, but I don’t think it comes from the recipe used to make Knob Creek (which was my hope) and instead seems to be slightly younger Jim Beam Black. I would not recommend this for drinking neat. It makes a passable cocktail (and $20 a liter isn’t a bad price), but you’d do much (much) better with a bottle of Knob Creek Small Batch, which is superior in basically every way. If you’re a Jim Beam lover, though, and looking for a value bottle, this should suit. Acquired: (1 L bottle) Costco, San Jose, CA, $20. Knob Creek uses the same mashbill as the rest of the Jim Beam line (except for Old Grand-Dad). I think Knob Creek’s flavor profile differs from basic Jim Beam Black (which is also a year younger) due to the choice of barrels that are blended to make Knob Creek. I have to disagree with your final comment. I like Jim Beam products generally. But I thought the Kirkland bourbon — whether Jim Beam or not, and I accept your conclusion that it is — was awful. 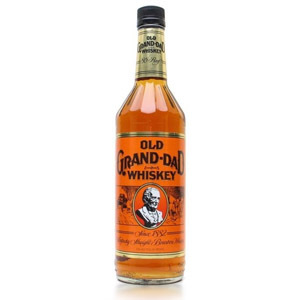 If you want a bargain Beam that’s worth drinking, pick up the Old Granddad BIB. Cheaper than the Kirkland stuff and much better. I am a Costco fan and a whiskey collector. I tell anyone that Costco only puts the Kirkland name on a product that is as good or better than the name brand. This whiskey has proven me wrong. It should be recalled. It is terrible! I have never tasted worse. I doubt it would be drinkable with coke or seven up. I won’t even give my bottle away. It is that bad! I’ve seen the same batch reviewed on connosr and referred to as Booker’s Light. I agree with the assessment and would give it about 10 points below Booker’s, as that review did. Wife dumps it into diet coke and doesn’t complain about it, so I guess it has its uses for the price. Lol! I just went to costco in canberra, Australia. Guess what batch number my kirklands small batch bourbon is?? Yep, it’s B-5183! Not the best bourbon I’ve tasted. FYI $70 here for one litre. I had no idea what kirklands was. I just saw a bourbon I have never tried before and had to try it. Not the worst bourbon either. It’s drinkable with coke zero. Stay away. I wouldn’t put this stuff in my lawnmower. Neat it’s undrinkable. Used half a bottle of ginger ale to kill the awful taste. wow, you are so right about it! Mexican Cowboy, goes great with burritos! Wish I had read this review before laying out the $21! My bad – was hoping it would live up to other Kirkland branded items – definitely not though. I can tell you it’s not Jim Beam. Jim Beam is the only bourbon that gives me a headache, and Kirkland’s does not. I have seen this being bottled at Jim Beam in the past. But today I went in to Costco in Louisville and I see we now have Kirkland Tennessee Whiskey and Kirkland Tennessee Bourbon! The Tennessee Whiskey is made by the Lincoln County process (filtration through charcoal prior to barrelling). I wonder if it is the same mashbill and the bourbon is not filtered? It appears to be made by Tennessee Distilling in Columbia TN, a large private distillery. Bought a bottle today and sitting here drinking it neat, very disappointed was hoping of a nice find. Took a couple of swishes and deep breaths through the nostrils to get it down. Gave an after burn and not very good on the taste buds. Compared to Makers or Johnny Black, I definitely wont be laying out my AMEX for this one again. Horrible. I’ve tried 3 separate times and it only gets worse. I’d take it back, but my time is worth more than the hour it would take to stand in the return line. I’d consider dumping it down the sink, but here in Los Angeles it would drain to the ocean and I wouldn’t want to kill even the sharks. I bought a bottle of this because I wanted to see if I liked bourbon, I had never had it before. This is horrible. It’s like St Josephs aspirin soaked in gasoline. Please somebody refer an inexpensive bourbon that’s good. The best way to discover if you like bourbon is to order some, neat or over ice, at a bar. Ask for something by name, or ask for a recommendation (rather than the well stuff, which is usually like $10 a bottle and would be worse than your Kirkland). If you buy another bottle of something and dislike it, you’re out $30 or whatever. One of my favorite bourbons, for what it’s worth, is Eagle Rare 10 year, which is $40 or more. A cheaper one by the same company is Buffalo Trace. Probably the best cheap bourbons are Very Old Barton Bottled in Bond (which is only available on the east coast US, and is almost the same alcohol % as the Kirkland), or Four Roses Yellow Label, which is an easier-to-drink 40% ABV. 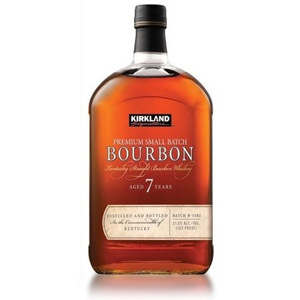 When I scan the barcode on this kirkland bourbon in my Fitness App, it comes up as Knob Creek! The only difference is that Knob Creek bottles it earlier for Costco, vs. the full 9 year age, imho. Now 2017, it’s been confirmed many times that it’s made by Buffalo Trace. Never got to try the initially reviewed batch, but can report that batch T-1796 is fantastic. I’ve had this bottle for a while (can’t recall how long), so don’t know whether it is still available. Over a period of a couple of weeks I’ve gone back to this to re-evaluate, and the experience is consistent. I drink this neat, unadulterated, at room temperature. None of the negative characteristics noted in this original review apply to this batch. Definitely do not miss out on this bourbon based solely on these dated opinions indicating that it is to be avoided. Perhaps something went wrong with that initial batch, and Kirkland has since corrected. I’ll go get another bottle and make an update if the currently sold batch number is different.